ransparent pricing tools can help self-insured employers better manage relative to national averages the cost, efficacy, outcomes â&#x20AC;&#x201C; and ultimately value â&#x20AC;&#x201C; of leading surgical procedures where so many claims dollars are spent. Given the significant disparity in prices from one region to the next, these tools add considerable clarity to a what has long been a frustrating process of deciphering costs that appear arbitrary, unfair or both. This is particularly true in areas with largely monopolized markets. The trick is landing meaningful discounts with the help of evidence-based guidelines that account for key metrics such as the frequency of surgeries performed, complication rates, surgeon credentials and geography. It also helps to target independent outpatient facilities that might be more willing to bend on their prices than traditional hospital settings. When added together, these elements can create a winning strategy for all stakeholders. Bargain	hunting There are essentially two venues for care on the outpatient side: an ambulatory surgery center or hospital campus, with the latter generally costing more money, according to Bill Kampine, co-founder and SVP of analytics for Healthcare Bluebook. He says where a procedure is done has the single biggest impact on cost and is a critical part of educating patients to make more informed choices. The challenge is helping patients and large healthcare payers alike make sense of costs that vary wildly from one facility to another. In New York City, for example, Kampine notes an 875% difference between the low and high end of MRIs, knee arthroscopies and carpal tunnel surgeries just to name a few. Supply	and	demand When it comes to provider compensation, location appears to be irrelevant. While the cost of a colonoscopy could range between $800 and $4,000 for an employer, Kampine notes that the gastroenterologist who performs the procedure gets paid the same, regardless of where it’s done. The objective for surgical facilities is to increase utilization through the simple law of supply and demand, explains Don McCully, president of Medical Captive Underwriters. In essence, they agree to lower prices in order to generate more business. There’s a disadvantage in the fully insured market in that those plans are tied to networks that do not check the validity, credentials or malpractice history of their providers, McCully notes. He describes services such as Healthcare Bluebook or PriceMDs.com as scalable solutions that help self-insured employers enjoy a competitive leg up. The advantage is that they ensure that surgeons are credible, experienced and deliver an effective outcome at the lowest overall cost. The strategic aim is to steer patients to high-performance networks in every market. McCully says it’s akin to Noah’s Ark in that two specialists in virtually every area of expertise are sought within a certain radius driven by the employer census. 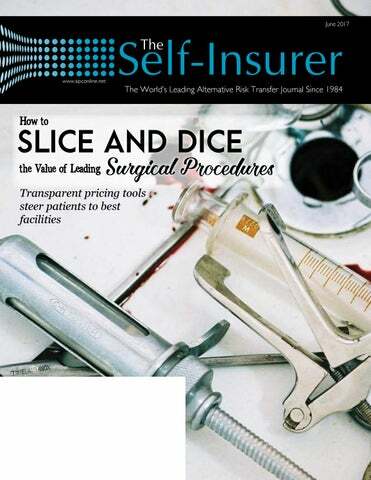 Bundled	pricing Two of the most critical pieces of information necessary when assessing the value of surgical procedures are the frequency at which they’re performed and complication rates, says David West, director of corporate development for Group & Pension Administrators, Inc. “A lot of the other metrics are hard to measure,” he explains. While reference-based pricing is one of the most effective ways employers can manage cost, “it is not always the most user-friendly for the members that have to access care,” West admits. He says bundled-pricing approaches offer health plan members predictable care and financial stability with upfront knowledge of various cost components. Those lists typically include anything from anesthesia and lab work to an X-ray and surgery – all of which are traditionally billed independently from one another. Revelations about the degree to which there are significant cost disparities along the path to securing reasonably priced outpatient services are obviously unavoidable, but the potential for negotiation is powerful. For example, West recalls how a large Dallas hospital specializing in pediatric care quoted more than $100,000 for a simple diagnostic procedure involving both a colonoscopy and endoscopy for a child. Upon further investigation, he found an alternative for $12,000 at a comparable children’s hospital – not an independent outpatient surgery center. The parents initially didn’t want to change doctors and mistakenly perceived that the far more expensive option would be best because of its theoretical reputation. However, after learning from their employer that they would have to pay the difference, the family became very upset. The first hospital that was approached then decided to slash its cost in half and the employer agreed to the new price tag. His firm’s role is one of an ombudsman or neutral party that seeks to replace any acrimony with understanding for the benefit of all stakeholders. Indeed, Grossman was a general and vascular surgeon for nearly 30 years who once filled in for an administrator on vacation at one of two hospitals through which he had an ownership stake. His clinical experience is a driving force behind PriceMDs.com’s objective to secure the highest quality at the lowest price on behalf of self-insured employers. “One of the ways we assure quality is with outpatient surgery centers, which are very motivated to provide the best care as efficiently as possible,” Grossman explains. It’s critical to choose facilities that perform the highest volume of a particular procedure with minimal to no complications. “So if somebody needs a knee arthroscopy, most likely you’re going to get the orthopedist who does that all day long,” he says, noting that in many cases, the facility is owned or partially owned by the providers. A key component is all-inclusive bundled pricing in the aggregate with no hidden fees or details of various components involved with each surgical procedure. The arrangement is appealing to physicians who appreciate being compensated promptly by a third-party administrator (TPA) without any negotiation after a procedure is done. “Everything is known beforehand,” Grossman says, adding that facilities have an incentive “to be as friendly as possible so that they can get more business and better utiliztion.” In contrast, he says doctors lose money on every case that is paid on a capitation basis. The approach also usually represents “incremental business” that he says can help pay fixed costs such as utilities and labor staff. These facilities are more willing to accept a lesser price when they post their prices for TPAs or a firm like his and not the public at large, Grossman explains. The resulting competition drives down prices. “It’s not always just a straight line to the least expensive,” he says. that can save more than $100,000 per treatment, which translates into an 80% to 85% discount relative to the U.S. pricing. Bundled pricing also benefits a TPA in avoiding labor-intensive adjudication. “They just cut one check,” according to Grossman. He says patients are happy because their out-of-pocket costs are usually much lower, and in many cases, deductibles are waived. Moreover, there are no separate or surprise bills for anesthesia, pathology or other areas of specialty. PriceMDs.com pledges substantial savings for its customers on a number of popular surgical procedures. For example, spinal fusion runs about $16,500 vs. a national average of $100,000, hip replacement is $19,400 vs. a national average of $40,000 and knee replacement is $19,400 vs. a national average of also $40,000. Those savings can add up, with the company noting that it can cut the cost of half a dozen common procedures by $6.1 million for every 25,000 insured employees or $20 per employee per month based on a pilot program in West Virginia. process, cap their profits. He says Maryland is the only state that has established a schedule for hospital costs. Transparent pricing tools fit nicely into what West calls “the Millennial Effect” wherein young people are searching or buying virtually everything online. Now here’s the rub: “They can find great information on a medical problem and how to treat it, but they can find virtually nothing on cost and quality,” he says. What’s ironic is that millennials are generally healthy, although he adds that many are using technology to help their parents find care. West is sanguine about the future of bundled pricing, noting a recent discussion about this approach with a chain of emergency rooms. He predicts that big hospital systems eventually will embrace it. With the uncertain direction of ACA, you need a partner that offers peace of mind. Lifeâ&#x20AC;&#x2122;s Risky.â&#x201E;˘ Self insuring doesnâ&#x20AC;&#x2122;t have to be. A self insured approach to employer medical plans can be a cost-effective alternative to a traditional group policy. But if claim amounts exceed what was forecasted, a business can face severe financial strain, possible lawsuits and even bankruptcy. Founded in 1978, Sutton Special Risk has grown into a premiere MGU providing Stop Loss, Accident & Health, Life and Contingency products and services for a diverse range of clients worldwide. Our consultative approach, underwriting expertise and attention to service enable us to respond quickly and effectively to your clients needs. We would like to in vite you to share your insight and submit an article to The Self-Insurer ! distributed in a digital and print format to reach over 10,000 readers around the world. The Self-Insurer has been delivering information to the self-insurance /alternative risk transfer community since 1984 to self-funded employ ers, TPAs, MGUs, reinsurers, stoploss carriers, PBM s and other service providers. Plan for the unexpected. Call us at 781.270.7457 or visit www.suttonspecialrisk.com. IIA members’ traditional Walk on the Hill was greeted with more than the usual polite responses in Congressional offices during the recent Legislative/Regulatory Conference in Washington, D.C.
Ron Dewsnup of Allegiance Benefit Plan Management of Missoula, Montana, is well acquainted with his state’s senators, Jon Tester and Steve Daines, and was especially impressed with SIIA members’ reception in their offices. past Legislative/Regulatory Conferences during his SIIA tenure that has included chairmanship of the Benefits Committee. “The strength of the conference lineup of speakers and the ability of SIIA members to meet the right people in Congress speaks to SIIA’s momentum in federal advocacy,” Dewsnup said. Ryan Work, Vice President of Government Relations, said this was an especially important year – and time of year during the Congressional session – to hold the Legislative/Regulatory Conference. “It was particularly beneficial for us to show a strong presence in Washington of SIIA members expressing their support for the Self-Insurance Protection Act,” he said. SIPA was overwhelmingly approved by the House of Representatives in a 400-16 vote and now must be passed by the Senate to become law. A first-time participant in the Legislative/ Regulatory Conference, Brad Roehrenback of MedCost in Winston-Salem, North Carolina, said SIIA has become his company’s primary outlet for federal advocacy. “The most valuable aspect of the conference was getting to talk with people who are closest to events in Congress and the federal agencies,” Roehrenback said. “We got a snapshot view of health care policy formation that can dramatically affect our business. interest in our message and they were especially impressed by the 400-vote support SIPA received in the House. To them, that seemed to mean that protecting self-insurance is way beyond partisan politics. For James Slotnick of Sun Life in Wellesley Hills, Massachusetts, the Legislative/Regulatory Conference provided an ideal platform for SIIA’s core messages. “The employer-based health insurance market is the greatest untold story of health care reform,” he said. “It’s the market that works without the controversies of the individual market. “The beauty of events like this is that they bring to Washington a broad coalition of people including top executives of companies in the self-insurance industry as well as business owners who bring the weight of many thousands of constituents to their meetings with Congress,” Slotnick said. “For SIIA members who weren’t able to attend the conference, I would add that there is nothing difficult or daunting in meeting with Congressional offices,” Slotnick added. 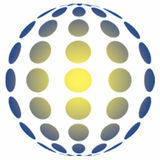 “SIIA does a great job of setting meetings and preparing our members to communicate our messages. “And it doesn’t take a major conference for this to happen,” Slotnick said. “Members can come to Washington on their own schedule and SIIA will set you up with your own Walk on the Hill.” SIIA members with inquiries about federal government relations issues are welcome to contact Ryan Work at rwork@siia.org or (202) 595-0642.
he promotionally-described “Land of Enchantment” lived up to its reputation for the self-insurance industry and many small- to-medium-sized employers when the New Mexico legislature decreed that stop-loss insurance for self-insured employee benefit plans would no longer be regulated as health insurance. The SIIA-backed HB 336 was signed into law this spring and was warmly welcomed by Government Relations Committee chairman Larry Thompson. “We were thrilled about this positive result of advocacy by SIIA and elements of the New Mexico business community,” he said. Thompson saw a corollary between the New Mexico bill and the recent passage by the U.S. House of Representatives of the Self-Insurance Protection Act (SIPA) that would prevent any federal agency from defining stop-loss as health NEW MEXICO insurance, and which now must also be approved by the Senate. “While we hope for SIPA to also be finally approved, the New Mexico result is certainly a step in the same direction of protecting the ability of smaller businesses to successfully self-insure their benefit plans,” he said. The New Mexico law that becomes effective on July 1 certainly could serve as a model for other states that may be questioning how to regulate stop-loss insurance, in Thompson’s view. “This can hopefully serve as a good precedent for other states to follow,” he said. SIIA Vice President of State Government Relations Adam Brackemyre advocated for this law over a multi-year period that found him frequently attending meetings of an industry advisory group in Santa Fe. “Stop-loss has been defined as health insurance in New Mexico since the early 2000s,” he reported. “But recently there was a movement by regulators toward applying traditional health insurers’ medical loss ratios to stop-loss policies. “Through a lengthy review and negotiation with the Office of the Superintendent of Insurance (OSI), it gradually became clear that health insurance loss ratios are not appropriate for stop-loss insurance and we found a mutually agreeable way to fix the problem,” Brackemyre said. minute to resolve your claims – sometimes waiting too long and leaving you and your clients with a bigger bill than necessary. Not us. We apply our never-give-up tenacity to achieve maximum savings on your medical claims, and we promise to turn around claims in 5 business days – and usually faster – so you never lose your ability to dispute provider charges. Grandfather	Day	in	New	York It’s not on Hallmark’s schedule but one “grandfather” was a hot topic during Lobby Day for SIIA members at the New York State Legislature in Albany. The idea to extend for one year the “grandfathered” period of existing self-insured employee health plans covering 51-100 while a permanent legislated fix is being debated was met with initially favorable legislator response. “Some legislators advised us to request an extension of life for these plans and others responded favorably to the idea,” said Robert Melillo of Guardian Life Insurance who was among SIIA members trouping through the historic New York capital. The logic of an extension is based on the legislature’s need to wait for its report from Milliman on how employers are using stop-loss insurance, expected next spring. That would leave a short time for final consideration before the present grandfather period expires at the end of next year. SIIA-supported legislation (A.7077/S.425) would change state law to reset New York’s definition of small employer to 50 employees from 100 at present. Under NY law, no “small employer” may be issued a stop-loss policy. “One co-sponsor of our bill expressed support for the extension and may file an amendment to the bill,” Melillo said. “Our visit to Albany proved to us that we need to step up our pace of advocacy, with all SIIA members involved in New York selfinsured plans committing to contact their representatives for support.” SIIA members who wish to join the state government relations advocacy team are invited to contact Adam Brackemyre at the Washington, DC, office, (202) 463-8161 or abrackemyre@siia.org. he U.S. Treasury Department is currently collecting data for its second report on the effectiveness of the Terrorism Risk Insurance Program Reauthorization Act of 2015 (TRIPRA). In its first report, issued in June 2016, the Department found that the Terrorism Risk Insurance Program fulfills an important need in the insurance marketplaceâ&#x20AC;&#x201D;making terrorism risk coverage more affordable and more readily available than it would be without the Act. Since Congress passed the Terrorism Risk Insurance Act of 2002, captive insurance companies have played an important role in providing terrorism risk insurance. Insuring terrorism risk through a captive offers the same benefits of insuring any risk through a captiveâ&#x20AC;&#x201D;including flexibility of coverage, control of risk, keeping underwriting profits, and access to reinsurance. However, captives can offer even more benefits and wider coverage when it comes to terrorism risk insurance, including access to the federal Terrorism Risk Insurance Program. When the Department of the Treasury was considering barring captives from accessing TRIP in 2016, SIIA argued that terrorism risk insurance is “not one size fits all” and that every company can’t rely on traditional insurers to offer the coverage all companies need. That’s where captives and other alternative risk transfer insurers can help. Captives are still able to tap into the TRIP program, but they have the flexibility to offer a wider range of coverage than traditional insurers. Additionally, captives can offer policies that fill in gaps in coverage not available through insurance companies and captives will insure where traditional insurers may not be willing. Even with policies that are finely tailored to its parent company’s needs, captive policies are likely to be competitively priced as well. While TRIA requires insurance companies to make certain terrorism risk coverage available to policyholders, there are ways that traditional insurers can mitigate their exposure. Declining to write certain risks and not offering coverage for certain forms of losses are two ways that insurers alleviate risk exposure. While traditional insurers are required by TRIA to provide certain lines of terrorism coverage, captive insurers are not. However, they can participate in the Program by choice. This means that the captive owner/insureds are responsible for choosing whether or not to access TRIP. The Treasury’s report found that captives purchase standalone terrorism coverage at a higher rate than other reporting insurers, and that they purchased a substantial amount of reinsurance to cover an act of terrorism certified under TRIA. waste stored on the premises. In the event of an explosive device detonating, these materials can be scattered over a large area, contaminating the hospital premises and neighboring areas. Weather conditions can spread the damage even further. Hospitals will not likely be able to purchase NBCR risk as part of a regular policy, but they can purchase it from a traditional insurer as a standalone policy. But even that may be hard to get if the insurer is already insuring a concentration of other businesses in the same geographic region. The flexibility that captives offer can guarantee companies get the NBCR risk coverage that they need. that seems so ephemeral today. Again, captives have the capacity to create policies that address these risks in a way that traditional insurers do not. Another type of terrorism risk that captives have the capacity to insure are contingency lossesâ&#x20AC;&#x201D; contingent interruption of operations and contingent time-element loss. Terrorism risk in the early 2000s was primarily associated with property damage, but as the definition of what constitutes a terrorist attack expands, more interest is being paid to the losses that surround an attack, such as business interruption. Contingent interruption of operations risk is similar to business interruption risk, but goes farther to include business losses due to cancelled reservations, indefinite business closure, or other disruptions that could reduce business income. Contingent timeelement loss covers business disruption in a third-party supplier or a customer that affects the insured business. Again, these types of risk are difficult to anticipate and the flexibility of policies that captives employ gives them an edge over traditional insurers with cookie cutter policies. The Secretary of the Treasury has yet to declare any event an act of terrorism and the TRIP has never been triggered, but the day may soon come when it could happen. As the threat of terrorism becomes less straightforward and more sophisticated, captive insurance companies are taking the lead in creating more dynamic terrorism risk insurance coverage. On May 5, 2017, the House of Representatives passed the American Health Care Act (AHCA) which, if enacted, would make significant changes to the health care provisions affecting employers under the Affordable Care Act (ACA). Most of the provisions impacting self-funded plan sponsors in this version of the AHCA are identical to those contained in the prior version the House considered (which the House failed to vote on). Although the AHCA changes have not become law – the Senate has yet to take up the AHCA and will likely make further changes – employers need to know what is in the AHCA in order to evaluate its potential impact if it becomes law (whether significantly revised or not). Delay (but not repeal) of the so-called Cadillac Tax. The IRC 4980I tax on high cost health coverage (the “Cadillac Tax”) would be retained. However, the Cadillac Tax would be further delayed until 2026. The Cadillac Tax remains as originally in effect. Thus, the AHCA would continue to include HSA contributions from employers (including pre-tax salary reduction contributions from employees) in calculating the Cadillac Tax. Elimination of individual mandate. The penalty for failure of an individual to have coverage is reduced to zero effective 1/1/16. Thus, the so-called “individual mandate” would cease back to 2016. Elimination of so-called employer “pay or play” taxes under IRC 4980H. The employer shared responsibility taxes for applicable large employers are eliminated as they are reduced to zero effective 1/1/16. This would allow employers to revise eligibility language to pre-2015 terms (if desired) – with the only limitations being those that arise under 105(h) for self-funded coverage or insurance contract minimum participation rules. This article provides a summary of key provisions of the AHCA of interest to employers of all sizes. Remember that these provisions have not yet become law and are likely to be significantly revised before final legislation is enacted. Employers should not rely on the AHCA until it becomes law. be simplified, however, as employers would likely be able to merely look back at the end of the year and identify those who had months with 130 or more hours of service. The complicated “look back measurement” approach is likely no longer required. Since the individual mandate taxes are reduced to zero effective 1/1/16 the reporting required by IRC 6055, which is used to enforce the mandate, should no longer be required. Starting in 2020, there will be streamlined reporting on Form W-2 relating to the new health coverage tax credit (see below). Several significant HSA improvements would go into effect in 2018 – including an increased contribution limit, a retroactive effective date for eligible expenses (up to 60 days after the HSA is established), easier spousal “catchup” contributions, and (effective for 2017) reduction of excise tax on non-medical distributions to 10%. The small employer tax credit for a portion of the cost of SHOP coverage paid by the employer would be repealed at the end of 2019. ACA taxes OTHER than the Cadillac Tax would be repealed, including the sector tax on health insurance premiums (effective in 2017), the additional 0.9% Medicare tax for higher income individuals (effective 2023), and the 2.8% tax on net investment income for higher income individuals (effective 2017). Medicare Part D (prescription drug) expenses would again be deductible AND eligible for the RDS subsidy beginning in 2017. Employers would have been required to provide this statement upon the request of the employee. The AHCA as passed by the House does not include this specific rule and, instead, directs the Secretaries of Health and Human Services and Treasury to develop rules for the advance payment of the credit, including rules that provide “robust verification of all information necessary to establish eligibility” for the advance payment. Thus, regulations could impose a similar requirement on employers. Note that even if final legislation repeals some or all of these tax provisions, the effective date of repeal may change and could be pushed back. Thus, employers should not rely on these effective dates until final legislation is enacted and should continue at this point to apply presentlaw rules. Allowing States to define essential health benefits (EHB): Starting in 2020, states would have the ability (through a waiver) to define what are considered to be EHBs. While this change is primarily aimed at those plans that are required to offer EHBs (i.e., non-grandfathered individual and fully-insured small group health plans), it would also impact self-funded plans, because the prohibition on annual and lifetime dollar limits applies to EHBs. Self-funded plans may use any permissible definition of EHB for this purpose. For example, many plans currently use the definition that applies in Utah. If this provision is enacted, plan sponsors may want to review the definition of EHB under any State waivers to determine if the sponsor would like to make a change for purposes of applying the prohibition on annual and lifetime limits. New refundable tax credit in place of premium tax subsidy. Starting in 2020, a new refundable health coverage tax credit would replace the ACA premium subsidy. The new credit would be a specified dollar amount that would increase based on age and would be phased out based on income. The new credit would not be available to individuals that are eligible for government or employersponsored health coverage. The prior version of the bill included a requirement that when an employee applies for an advance credit to pay for coverage, the application must include a written statement from the employer that the employee is or is not eligible for employer-provided coverage. Late enrollment penalty for individual market coverage would replace the individual mandate: In place of the ACA individual mandate, the AHCA includes other provisions that are designed to encourage individuals to avoid gaps in health coverage or wait until they are sick to obtain coverage. Starting in 2019, individuals enrolling in individual market coverage who have a gap in coverage of at least 63 days during a 12-month period would be charged an additional 30% surcharge on the premium by the insurer. This surcharge would apply for 12 months. This provision would also apply for individuals with a coverage gap who seek to enroll in individual market coverage during a special enrollment period in 2018. As we go to press, the AHCA is still being debated and the Senate has yet to take action on the AHCA. Once again, all eyes should be on Congress for the next several weeks. In place of the 30% surcharge, States may obtain a waiver that will allow insurers to charge premiums in the individual market based on the health status of the individual (e.g., based on whether the individual has a pre-existing health condition). Like the 30% surcharge, this individual pricing based on health status would apply to individuals who have a gap in coverage and would apply for 12 months. Insurers could not deny or limit coverage for preexisting conditions, but could charge individuals more based on a pre-existing condition. A State may only obtain a waiver to allow rating based on health status if the State has a qualifying high risk program in place. We appreciate the positive response our medical stop loss coverage has received coast to coast. We look forward to bringing our trusted brand name, stellar balance sheet, and decades of underwriting experience to the medical stop loss marketplace for years to come. Air	Ambulance:	Heads	in	the	Clouds By Jon A. Jablon, Esq. ealth plans, third-party administrators, brokers, consultants, and stop-loss carriers are a bit baffled by air ambulance fees. Many are outraged or appalled or disgusted as well – but it seems that the overwhelmingly common feeling is sheer confusion over how this type of billing is permissible. In all other markets – construction, textiles, grocery, you name it – the ordinary legal doctrine is that if there is no agreed-upon price for the goods or services, the seller may only charge the reasonable, fair market value of the delivered service or item. Admittedly, in most markets, prices are agreed upon beforehand – but in the long history of business, there have been enough instances of services rendered without agreed-upon pricing that courts have seen fit to devise controls for just those occasions. And yet…air ambulance charges are frequently between 600 and 800 percent of Medicare rates for the same flight – and sometimes far, far more. In fact, one recently crossed my desk billed at over 2,600% of Medicare rates. That’s right – a whopping twenty-six times what Medicare would have paid for the same flight. Question: Why is air ambulance ordered for someone who does not really need the service? Answer: About 20% of the patients using air ambulance services really need the service. In a lot of cases, patients are not transported to the nearest hospital due to overflight or relationships between the facility and the air ambulance provider. Question: How do you determine medical necessity? Answer: Review of transport notes or ambulance run reports primarily to determine medical necessity. Sometimes notes from the hospital are also reviewed. Question: Why do payors cave? Rick Sherlock, president and CEO of the Association of Air Medical Services, a trade group, says that many air-ambulance patients are on Medicare or Medicaid, and that those programs pay $200 to $6,000 per transport. So, Sherlock says, air-ambulance operators must collect more from people with private insurance to make up the difference. It should be questioned how equitable or ethical it is to jack up prices for one consumer because the provider has chosen to accept less money for another consumer. An air ambulance provider can always refuse to contract with CMS and choose to not accept Medicare or Medicaid – so to complain about not being paid enough seems a bit petulant. Answer: Fear of the provider balance due billing the patient. Balance-billing is a major concern of all benefit plans that pay benefits at an amount not tethered to billed charges, which is an increasing trend. If not for balance-billing, it seems likely that all plans would pay objectively reasonable rates rather than percentages of billed charges. Airline	Deregulation	Act Further challenges are presented by the Airline Deregulation Act of 1978. Through this federal law, states are prohibited from regulating non-hospital affiliated air ambulance providers. That is, this law does not apply to the University of Whatever Health System’s own proprietary air ambulance services, since those are considered to be an “extension” of emergency services as opposed to a separate air ambulance provider – but the law does apply to FlyingAirTaxiMedicalAmbulance Co., Inc., since it is independent of an emergency room and is its own “carrier.” Through the years there have been proposed changes to the federal Act to account for the disastrous effects it has on air ambulance consumers and health plans, but we’re not quite there yet. fair market value has to do with the open market and general principles of contract rather than some particular state law. The Airline Deregulation Act does not set a price or indicate what might be appropriate value. Instead, it dictates that individual states cannot pass laws to regulate the price of these flights. Fair market value is a general principal of contracting rather than some statutory price control, though; air ambulances are free to provide quotes up-front, but in most cases that is either not feasible or just not done. It seems that the general and basic principal of fair market value would still apply when no price is quoted or agreed-upon. The Airline Deregulation Act, after all, was passed to promote a free market economy rather than restrict it. It hardly serves to promote a free market when medical providers can gouge payors without warning. One could even contend, somewhat ironically, that demanding surprise payment at an amount far in excess of the fair market value frustrates the very purpose of the same Airline Deregulation Act that these providers rely on to defend their charges. Contract? What	Contract? Here’s where things get even more interesting. Independent air ambulance providers tend to be universally out-of-network. There are a couple of exceptions, but in general, it is near impossible to find an air ambulance provider (unrelated to a hospital) that has contracted with a PPO network to accept discounted fees – primarily due to the belief that the Act guarantees them their full billed charges no matter what, and that there’s no reason to join a network and accept discounted charges. Regardless of that belief, another question worthy of consideration is whether the out-ofnetwork flights can truly be considered non-contracted. Contracts are a funny thing and they come in many forms; while there is no contract to pay a certain specified rate or percentage of billed charges – indeed, a claim that would generally be considered a “contracted claim” – consider that the patient (if conscious and competent) almost always signs the provider’s “assignment of benefits” form. On that form, the patient says “if my insurance doesn’t pay you, in full, 100% of your bill, then I, the patient, agree to be responsible for the remainder.” For some bizarre reason, courts in this country have indicated that the patient’s agreement to pay some unspecified amount supersedes any ordinary market properties. If the patient weren’t a patient but a homeowner, and a painter said “you will pay me what I bill you for this job” and the homeowner agreed, courts have always opined that while the consumer is of course responsible to compensate the painter for its service, the painter is responsible for billing only that which is reasonable – measured as the fair market value of the services. In the medical industry, though, there are very few (and largely ineffectual) statutory or common law pricing controls. Even the simplistic concept of fair market value, which is perhaps the most basic of all pricing principles, does not apply in ordinary cases. It goes without saying that this needs to be fixed. What	Can	You	Do? Whoever you are – whether a health plan sponsor, third-party administrator, broker, MGU, reinsurer, or anyone else working in the self-funded industry – air ambulance charges are worrisome. If they don’t concern you…they should. Attorney Jon Jablon joined The Phia Group’s legal team in 2013. Since then, he has distinguished himself as an expert in various topics, including stop-loss and PPO networks, focusing on dispute resolution and best practices. In 2016, Jon assumed the role of Director of The Phia Group’s Provider Relations department, which focuses on all things having to do with medical providers – including balance-billing, claims negotiation, PPO and provider disputes, general consulting, and more. Negotiating claims can be an option, as is the case with other out-of-network medical claims, and there are also other, more novel solutions out there in the marketplace. Just as programs have developed to assist payors in reducing dialysis billed charges, so are there companies and services that are specifically geared toward controlling air ambulance charges. Specialists in this field can provide assistance from a regulatory and financial standpoint – and ensuring proper utilization is also crucial to ensuring that payors are not gouged. We urge payors to discuss options with a broker or consultant and ask about some of the solutions out there that have helped save health plans countless dollars of unreasonable and unnecessary air ambulance exposure. SIIA	held	its	annual	International	Conference	at	the	Condado	Vanderbilt	Hotel	in	San	Juan,	Puerto	Rico	April	18th-19th. his event focused on helping U.S.based companies identify and understand potential business opportunities related to self-insurance/captive insurance in key countries throughout Latin America and the Caribbean. In addition, the event also provided a truly unique networking environment to connect U.S. attendees with attendees from Latin America for purposes of exploring partnership and/or business development opportunities. A group of attendees kicked off the event by going on a pre-conference tour of the Bacardi Distillery. They took a tour of the Distillery and had a lesson on how to prepare three legendary Bacardi cocktails. The educational program covered topics such as The	Latin	American	TPA	Experience - Erwin Padinger, Chairman of Meditar S.A. and Kay Boettcher, CEO of the A. MaKLeR Group discussed running a TPA in an international environment. Puerto	Rico	Captive	Manager	Panel	Discussion - David Kirkup, Chief Operating Officer of Captive Alternatives, LLC, Les Boughner, Chairman, Advantage Insurance Management, Ken Kotch, Principal, Ryan, and Joseph Taussig, Chairman, Stature I.I. discussed their experience with setting up captive programs in this domicile and the advantages/disadvantages relative to other domicile options. Medical	Travel	Trends – Miressa Rivera Gerena, Associate Administrator at Auxilio Mutuo Hospital, Dr. Carlos H. Martinez, President of Health and Wellness Network, Massimo Manzi, Executive Director of PROMED and Bob Repke, President, Passport for Health highlighted the latest medical travel trends and opportunities. Puerto	Rico	Financial	Services	Environment	–	Advantages	For	OffShore	Companies - Ignacio Álvarez, President and COO, Popular, Inc. and Erick G. Negrón, Counsel, Rexach & Picó provided a general overview of Puerto Rico’s economic situation in different areas including banking, international insurance and export of services. The session provided investors, executives and entrepreneurs with the latest information on Puerto Rico’s investment opportunities, tax incentives and competitive advantages of investing in Puerto Rico. International	Insurance	Center	(Act	399	Overview) - Ruben N. Gely, Director of International Insurance Center, Walter Keenan, CEO, Advantage Insurance, Pedro I Vidal, Vidal, Nieves & Bauza, and Marc Jacobs, CEO, Captive Alternatives discussed Puerto Rico’s International Insurance Center, its benefits and growth as a domicile for Captive Insurance Companies and Private Placement Life Insurers. Export	of	Services	and	Investor	Relocation	(Act	20	&	22	Overview) - Carlos Asilis, Co-Founder & Chief Investment Officer, Glovista Investments LLC, Denisse Flores, Shareholder, BDO Puerto Rico and Jose Merheb, Senior Vice President, Banco Popular de Puerto Rico discussed Act 20, Known as the “Export Services Act” and intended to promote the exportation of services by providing great resources and opportunities for U.S. companies to bring their business to Puerto Rico and make it a service center for the World. They also discussed will also include Act 22 known as “Relocation of Investors”, legislation focused on attracting individual investors to Puerto Rico through the offering of tax incentives. Big	Data	Solutions	for	the	International	Insurance	Buyer - Phillipe de Dreuzy, President, MSH International and Stephen Caulk, FSA, MAAA, Vice President, Aon Health & Benefits described how to develop and leverage the right metrics for current use and predictive models in the self-insured healthcare environment. Dashboard usage and issues with organizational alignment, business process, workflow triggering, and adoption of an in-demand “disruptive innovation” that drive better decisions were also showcased through case studies and application examples. Evolving	Regulatory	Environment	for	Self-Insured	Health	Plans	in	Latin	America - Simon Owen, President/CEO, TEP provided an overview of a regulatory perspective on self-insurance business opportunities in key Latin American countries and the Caribbean. Swiss Re Corporate Solutions’ Underwriting team is highly skilled and experienced in the production of new and renewal rate development for groups that self-fund their Medical plans. The incumbent will follow Swiss Re underwriting guidelines, policies and procedures to calculate Stop Loss rates and factors. Examines and evaluates claim experience, loss ratio and other data to determine degree of risk, underwriting and market selection. Coordinate all administrative duties related to existing and prospective accounts. Adhere to underwriting guidelines and position papers. Manage workflow including workflow adjustments during high volume periods, and partner relationships as assigned by management. Assist sales with developing and cultivating new relationships. Provide feedback used by Senior Management to develop Underwriting policies and procedures. Responsible for all underwriting and policy file documentation which is in compliance with Underwriting Policies and Procedures and Internal Audit process. Maintain profitable business according to departmental goals. Responsible for documentation of Underwriting fields to include identifying drivers of medical expenses in new and renewal cases. Manage production and standards as defined by management. Bachelor’s degree in a related field preferred or equivalent experience. Five or more years of medical stop loss insurance underwriting experience. Strong analytical skills and the ability to pay attention to details. Knowledge of common medical terminology, diseases and their related risks. Familiarity with Excel and Word programs. Distinguished across multiple elements of Swiss Re’s Leadership Model (thinks strategically, innovates, responds actively, collaborates, promotes excellence, stays accessible, fosters constructive debate, demonstrates an enterprise mindset). As the Senior Vice President for the Southwest Region, you’ll be responsible for providing overall leadership and strategic direction for a defined region and to make underwriting recommendations and decisions to protect the financial assets of the company and the carrier. Establish strategies and objectives, coordinating with all organizational goals and standards. The position is accountable for financial performance and attainment of profit goals of assigned region. Qualified candidates will possess a fouryear degree, and 10 years of relevant and progressive experience that includes a strong working knowledge of medical stop loss operating procedures. Also a minimum of six years of leadership experience. Interested individuals should email a current resume to stoplosshr@tmhcc.com. The Swiss Re Group is a leading provider of medical stop loss, reinsurance, insurance and other insurance-based forms of risk transfer. Founded in Zurich, Switzerland, in 1863, Swiss Re serves clients through a network of around 80 offices globally and is rated “AA-” by Standard & Poor’s, “Aa3” by Moody’s and “A+” by A.M. Best. Visit www.swissre.com. Vice President, Regional Underwriting Manager – Southwest Regional Office – Plano, Texas As the Vice President, Regional Underwriting Manager for the Southwest Region, you’ll be responsible for making underwriting recommendations and decisions to protect the financial assets of the company and the carrier. Recommend strategies and objectives for the region, coordinating with all organizational goals and standards. The position is accountable for performance and attainment of profit goals of assigned underwriting staff within the region. Qualified candidates will possess a four-year degree, and 8 years previous underwriting experience and success in health insurance marketing, and excellent analytical, organizational, and communication skills. Interested individuals should email a current resume to stoplosshr@tmhcc.com. Medical Underwriting Nurse – Southeast Regional Office – Kennesaw, Georgia As the Medical Underwriting Nurse for the Southeast Region, you will utilize professional and clinical knowledge to assess risk and review large medical claims, perform risk assessment and cost analysis/cost projection for the regional underwriting staff. Acts as support for renewal and new business underwriting. This includes, but is not limited to, assessing the severity of on- going claims, adjusting reserved for accuracy, evaluating medical risks and assigning cost projections. Qualified candidates will be a Registered Nurse with ADN, Diploma, or BSN, and or 5-7 years of equivalent combination of education and or experience. Interested individuals should email a current resume to stoplosshr@tmhcc.com. About Tokio Marine HCC – Stop Loss Group For more than 35 years, HCC Life Insurance Company, operating as Tokio Marine HCC – Stop Loss Group, has been leading the way in medical stop loss insurance for employers and plans who self-fund their benefit plans. Rated A++ (Superior) by A.M. Best Company, Tokio Marine HCC – Stop Loss Group is backed by the financial stability of its parent company, Tokio Marine HCC. Tokio Marine HCC – Stop Loss Group delivers competitive coverage through exceptional customer service. Our team of underwriters, claim specialists, actuaries and medical professionals provides personal service and professional expertise to a network of producers and third party administrators (TPAs) across the United States. Visit www.tmhcc.com/life. Stephen Cali, Gilsbar’s Director of Sales, stated “Lisa has an unwavering commitment to be a market-driven thought leader, and we’re excited to have her on our team. With existing sales professionals located in the west, central, eastern and now south-central region, Gilsbar is strategically positioned as one of the largest privately-held health and benefit management entities in the country.” Ms. Munoz attended the University of Texas in San Antonio and has been a member of the Hispanic Chamber of Commerce and the Health Underwriters Association, and has volunteered for 16 years for the Houston Livestock Show and Rodeo, where she is currently a member of the International Committee. Regional	Sales	Manager Gilsbar is pleased to announce the addition of a new Regional Sales Manager, Lisa Munoz. Working through brokers and consultants, she will lead Gilsbar’s sales efforts with mid to large market employers. Based out of Houston, Texas, Lisa will be responsible for expanding the Gilsbar footprint within the Southwest Central region, consisting of key markets in Texas, Oklahoma, and Arkansas. Ms. Munoz brings 17 years of experience in the employee benefits industry to the Gilsbar team. Prior to joining Gilsbar, Ms. Munoz was in a sales role with wellness company Vitality, worked as an Account Executive at Pacific Life, and served as the Director of Sales for Memorial Hermann Health Insurance Company. Gold Members Zurich	makes	a	difference	in	the	lives	of	Philadelphia	families Insurance provider makes $10,000 donation to local Ronald McDonald House during RIMS Conference. Zurich North America, a leading provider of property and casualty insurance and a company dedicated to improving the lives of children and families, has made a $10,000 donation to the Philadelphia Ronald McDonald House. Paul Horgan, Head of North America Commercial Insurance for Zurich North America, announced the donation at a special dinner for Zurich customers on April 25 during the Risk and Insurance Management Society (RIMS) Conference, which took place this year in Philadelphia, from April 23-26. In 2016 Zurich demonstrated its commitment to the communities where we live and work through more than $633,000 derived from 27,430 volunteer hours donated by 3,668 employees through more than 725 service projects. One of Zurich’s three community investment focus areas is working to ensure the health and welfare of children in need. To help meet that need in the Philadelphia area, Zurich has donated $10,000 to the Philadelphia Ronald McDonald House on behalf of our Zurich RIMS attendees and guests attending our Zurich-hosted events. The Philadelphia Ronald McDonald house is dedicated to supporting the families of seriously ill children by creating a community of comfort and hope through housing and other supportive services. treatment—helping them to reduce stress and focus on their own health and well-being while they take care of their child. In addition to the monetary donation Zurich presented the Philadelphia Ronald McDonald House with over $1,000 worth of gift cards for families served by the House to help them with everyday staples and supplies while living there. The gift cards were donated by Zurich’s Select Brokers in the Atlantic Region and Zurich employees attending the RIMS conference. “Ronald McDonald House was born in Philadelphia, making it another part of the city’s tradition of innovation and leadership where children’s health is concerned,” said Horgan. Chris Callanan, Director of Events and Corporate Development, and Susan Campbell, Executive Director of the Philadelphia Ronald McDonald House receive a $10,000 donation from Paul Horgan, Head of North America Commercial Insurance for Zurich North America. About Zurich Zurich Insurance Group (Zurich) is a leading multi-line insurer that serves its customers in global and local markets. With about 54,000 employees, it provides a wide range of property and casualty, and life insurance products and services in more than 210 countries and territories. Zurich’s customers include individuals, small businesses, and mid-sized and large companies, as well as multinational corporations. The Group is headquartered in Zurich, Switzerland, where it was founded in 1872. The holding company, Zurich Insurance Group Ltd (ZURN), is listed on the SIX Swiss Exchange and has a level I American Depositary Receipt (ZURVY) program, which is traded over-the-counter on OTCQX. Further information about Zurich is available at www. zurich.com. In North America, Zurich is a leading commercial property-casualty insurance provider serving the global corporate, large corporate, middle market, specialties and programs sectors through the individual member companies of Zurich in North America, including Zurich American Insurance Company. Life insurance and disability coverage issued in the United States in all states except New York is issued by Zurich American Life Insurance Company, an Illinois domestic life insurance company. In New York, life insurance and disability coverage is issued by Zurich American Life Insurance Company of New York, a New York domestic life insurance company. For more information about the products and services it offers and people Zurich employs around the world go to www.zurichna.com. 2012 marked Zurich’s 100year anniversary of insuring America and the success of its customers, shareholders and employees. About the Philadelphia Ronald McDonald House The Philadelphia Ronald McDonald House supports families of seriously ill children by creating a community of comfort and hope. Our programs include two Ronald McDonald Houses, Ronald McDonald Family Rooms at the Children’s Hospital of Philadelphia and at St. Christopher’s Hospital for Children, and Ronald McDonald Camp. To learn more, please visit WWW.PHILARMH. ORG or join our social media community on Facebook, Twitter, and Instagram.